The ants are still active here, but I haven’t had much to report. In an effort to get back in the swing of things, I will be posting some short notes. Do you know what this is? 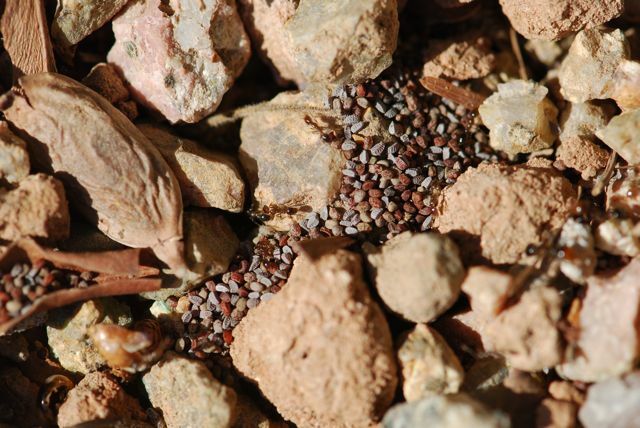 I tipped over a rock near a Southern fire ant nest and found this cache of tiny seeds. It is easy to forget that fire ants also harvest seeds. I should have picked up a couple of the seeds to try to sprout them. It wasn’t obvious where they came from, as there weren’t any plants nearby. 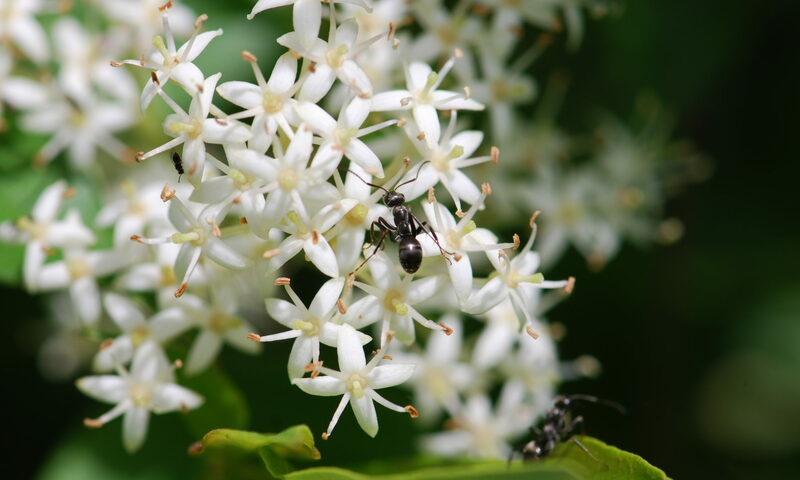 Have you ever found seed caches in fire ant nests? I’ve found some in S. geminata nests, and found them several times in nests of various Pheidole. 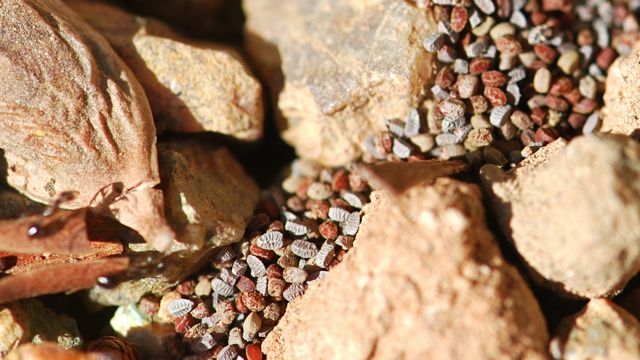 PS – It’s possible a person who knowledgeable in your local flora will be able to identify these seeds. Yes, I have seen them in Pheidole nests as well.